I’m sending this post from Wisla, Poland, where Chip Zimmer and I are teaching at the European Leadership Forum. This is no easy task, because the church in Europe is engaged in daily battles, both without and within. Its greatest struggle is against the fastest growing religion in the world: unbelief. Atheism and agnosticism are the fruit of philosophies birthed in Europe, including Enlightenment philosophy, skeptical biblical criticism, Darwinian naturalism, and Post-modernism. 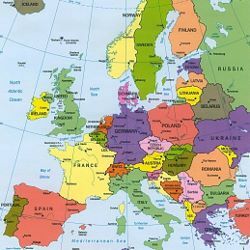 As detailed in a sobering analysis by ELF president Greg Pritchard, this religion of unbelief has overshadowed the European church and is attacking it with fierce determination on a daily basis. Even as the church fights this external battle, it is forced to contend with frequent internal struggles. Here are just a few of the issues people have shared with us this week. There are ongoing tensions between evangelical, Roman Catholic and Orthodox denominations. These tensions become intensely personal when children leave their parent’s traditional church to worship in an evangelical church. Memories of communist spying and informing have left a lingering relational mistrust, so many Christians are reluctant to form transparent, sacrificial relationships. Remembering how harshly criticism was repressed under Communist rule, they are also inclined to simply cope with injustice in society and the church itself rather than work for biblically-inspired change. Western social values have infiltrated the church, fueling materialism and undermining respect for authority and a commitment to the family. The only leadership style many pastors have seen is to be authoritarian; therefore, instead of leading their flocks with empathy and gentleness, they rule with a firm hand, which stifles trust, open communication, and genuine community. Social media fuels teenagers’ tendency to challenge both parental and church authority, leading to constant conflict in the home and an exodus from the church. Ministry teams rarely receive specific training on biblical conflict resolution, which makes them vulnerable to personality clashes, differences in vision, and leadership deficiencies that can sap their cohesiveness and enthusiasm and sometimes fragment them altogether. “But the wisdom from above is first pure, then peaceable, gentle, open to reason, full of mercy and good fruits, impartial and sincere. And a harvest of righteousness is sown in peace by those who make peace” (James 3:17-18; see also Eph. 2:14-22; Eph. 4:1-6; Phil. 2:1-11). That is the message that Chip and I have been privileged to share again and again this week. (Chip now serves as our Senior Ministry Consultant for Global Outreach.) ELF has opened multiple channels for Chip and me to engage, learn from, and teach leaders from throughout Europe. 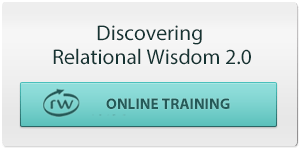 On Friday and Saturday, we taught an extended version of the Discovering Relational Wisdom Seminar. Yesterday I taught on the theology of relationships. In the afternoon, Chip met with leaders who have an interest in teaching and eventually translating RW resources in their home countries. Today I’ll be teaching on biblical peacemaking while Chip engages people at our booth in the exhibit hall. Tomorrow I’ll participate in a panel discussion on how to address challenging leadership issues. And each day of the conference, Chip and I are meeting individually with men and women who have requested mentoring to improve their relational skills. This has been an exhilarating experience. The other speakers have given some of the most intellectually and theologically challenging messages I’ve heard in years. They’ve proclaimed the gospel with great clarity and passion. And they have articulated a compelling vision for winning the battle against unbelief by imitating the strategy of the early church to “out-think, out-live, and out-die” their opponents (see “A Global Vision for the Gospel“). Chip and I are grateful for the opportunity to contribute to their efforts by equipping many of these leaders to engage in the relational battles that threaten to weaken their efforts from within. Many of these leaders have already read, taught and applied the principles set forth in my book, The Peacemaker, which has been translated into Bosnian, Bulgarian, Czech, Dutch, French, German, Portuguese, Romanian, Russian, and Spanish. The idea of using relational wisdom to actually “get upstream of conflict” by building strong relationships before differences arise has had an even greater appeal, so we’ve had many conversations with leaders about how they can teach and model relational wisdom in their churches and ministries. Please pray for us as we continue to learn from and be inspired by these gifted and dedicated brothers and sisters in Christ. May God also grant us wisdom and clarity as we teach practical, gospel-based principles they can apply to strengthen their churches and ministry teams, enhance their witness for Christ, and win the battle to renew the biblical church and re-evangelize Europe. 2 Responses to "Battleground Europe"
Praying for your time there, Ken! Thank you brother! God is doing really great things here!